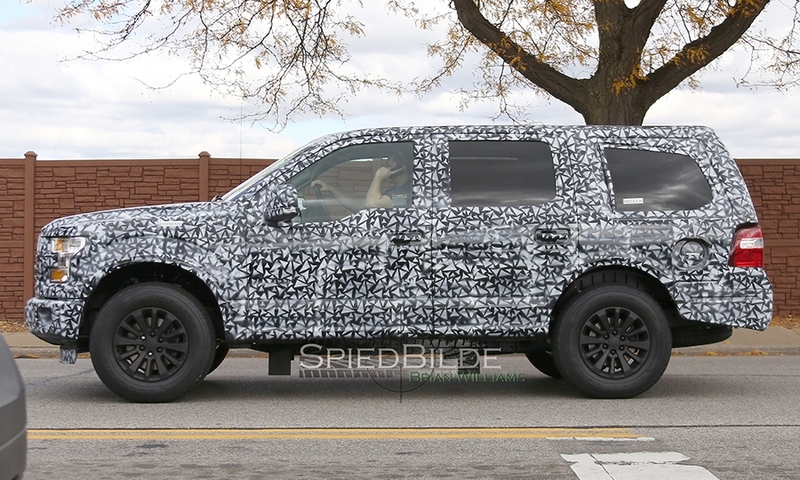 DETROIT -- A camouflaged, full-size, Ford-badged SUV spotted recently in Dearborn, Mich., near Ford’s product development center offers the best view yet of the redesigned aluminum-bodied Expedition, due out as a 2018 model. 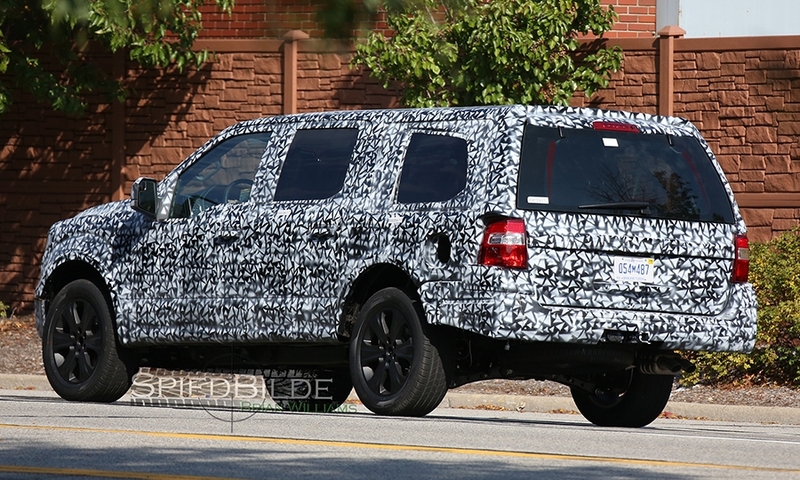 A Ford source, speaking on the condition of anonymity, said the vehicle in the spy shots is close to the final version of the Expedition. 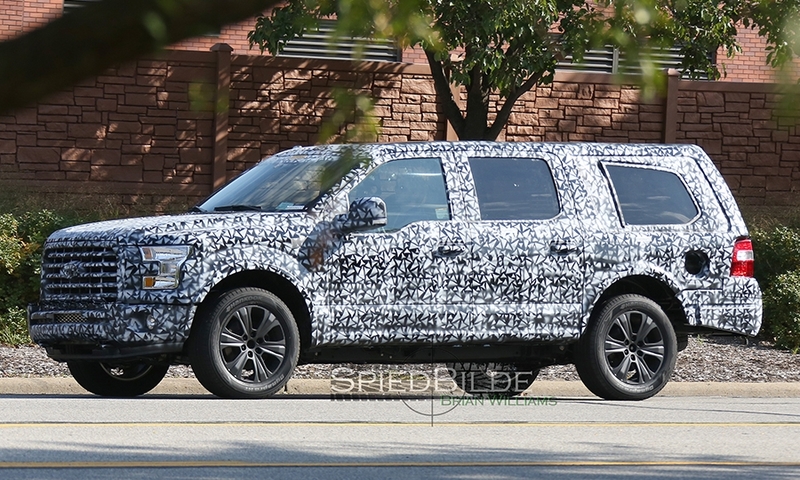 The redesigned Expedition has Ford’s trademark dip in the front windows near the mirrors, the same styling feature used on Super Duty trucks. 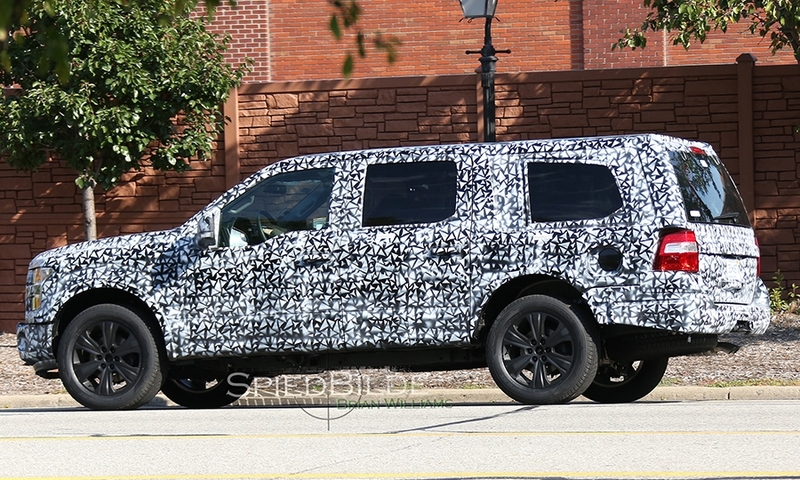 The vehicle in the photos shows very flat surfaces, which is typical of aluminum. It is difficult to stamp fenders and other body panels with deep curves because the soft metal can split. 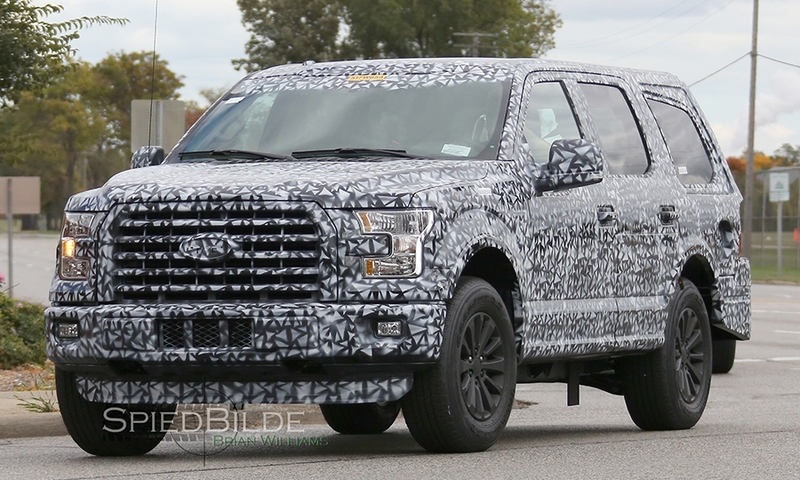 Ford is hoping the next Expedition gains ground on the Chevrolet Suburban and GMC Yukon XL. Despite low gasoline prices, U.S. sales of the Expedition and Suburban are down slightly this year. Overall, deliveries of large SUVs are off 1.9 percent this year. 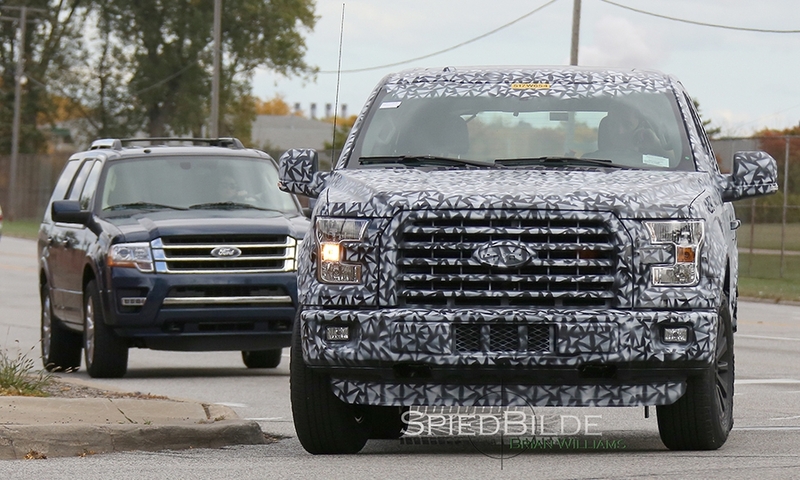 No word yet on the next Expedition’s powertrains or fuel economy, but analysts expect fuel efficiency to be improved.